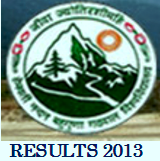 HNBGU BA 1st and 3rd Year Back Paper Exams 2013 Results declared, Garhwal University Results:-HNB Garhwal University is the central University of the Uttarakhand state. It is situated in the Srinagar Garhwal Uttarakhand. There are many courses are offered by the Garhwal University. As of now the HNB Garhwal University declared the results of BA (Bachelor of Arts) 1st and 3rd Year Back Paper examination 2013. The exam was held on some month ago and now the University has declared its results. So now all the students related to given subjects can easily check their results online. The results are available in the official website of the HNB Garhwal University Srinagar Garhwal. So here below I am giving you a link by which you can easily get your BA 1st and 3rd Year Back Paper results 2013. So just click on below given link and then you will be reaching to the results page. After that type your roll number on appropriate box and then click to submit. After all you will get your results with your all marks details. But in the case if you will not get your results then don’t worry about it because the University is updating the results and you will get it soon. For more information and queries regarding results then you may also contact to Garhwal University by their official website: - www.hnbgu.ac.in. Click here to get your BA 1st and 3rd Year Back Paper results 2013. Stay connected with us for more updates about various exams, results, and jobs in Uttarakhand. You may also follow us by emails subscription and Google+. You can also like us on Facebook to get our all the latest update on your Facebook wall.